Iced vanilla latte coffee bracelet! 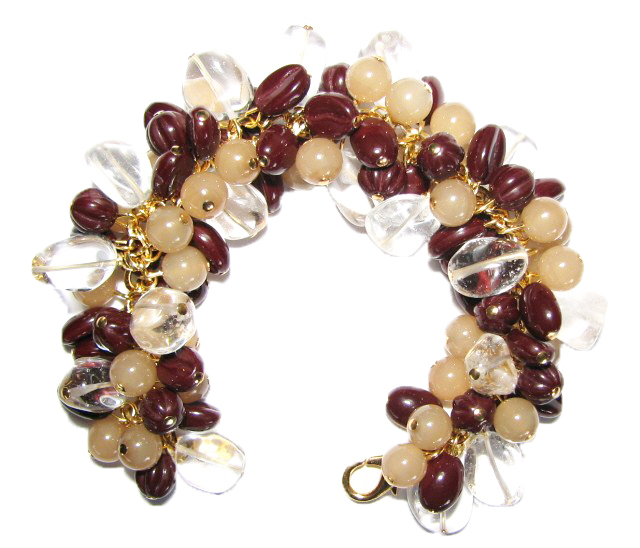 This is a pretty and heavily-beaded bracelet made with Czech pressed glass coffee bean beads, coffee color round glass beads, "vanilla" round glass beads, and quartz gemstone nugget "ice" on gold plated chain, signed Julia Bristow. This bracelet comes with matching earrings on surgical steel earring wire.